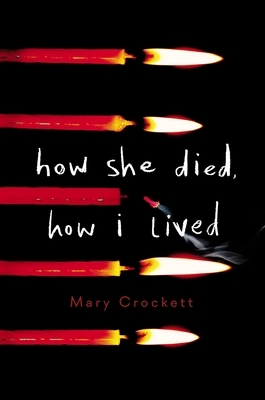 How She Died, How I Lived by Mary Crockett is an emotionally intense read that touches on grief, love, living, dying, and most of all forgiveness. A life was taken in a vicious attack that could have been any of five girls texted one day. However, the only one to respond was Jamie, and her kindness go her killed. How do you live with knowing that if you'd just responded to the text, Jamie may still be alive? Get into our narrator's head and experience survivor's guilt, acceptance, forgiveness and the strength to hope for a new beginning, all while wondering, "why wasn't it me?" Girl in Pieces meets The Way I Used to Be in this poignant and thought-provoking novel about a girl who must overcome her survivor's guilt after a fellow classmate is brutally murdered. I was one of five. The five girls Kyle texted that day. The girls it could have been. Only Jamie--beautiful, saintly Jamie--was kind enough to respond. And it got her killed. On the eve of Kyle's sentencing a year after Jamie's death, all the other "chosen ones" are coping in various ways. But our tenacious narrator is full of anger, stuck somewhere between the horrifying past and the unknown future as she tries to piece together why she gets to live, while Jamie is dead. Now she finds herself drawn to Charlie, Jamie's boyfriend--knowing all the while that their relationship will always be haunted by what-ifs and why-nots. Is hope possible in the face of such violence? Is forgiveness? How do you go on living when you know it could have been you instead? Mary Crockett grew up the youngest in a family of misfits in southwestern Virginia. An award-winning poet, she has her MFA from the University of Virginia, where she was a Henry Hoyns Fellow. Her debut YA novel, Dream Boy, coauthored with Madelyn Rosenberg, published in 2014. Mary lives in an old farmhouse along the old Great Road in Virginia and teaches creative writing at Roanoke College.